Soak in the music and colour of The Magic City, embark on a Caribbean cruise, relax with a game of golf in the sun, visit the spectacular Florida Keys or take a tour through The Everglades. There's so much to see and do in Miami - what are you waiting for? 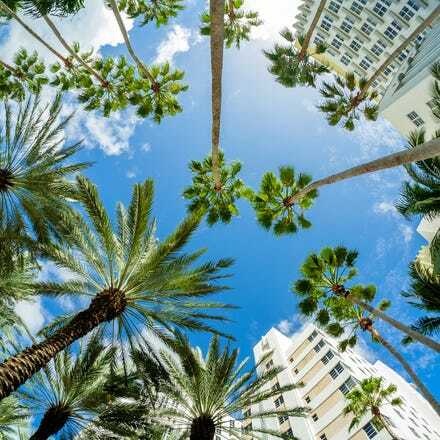 Grab yourself a cheap flight to Miami and discover how easy it is to travel to North America with Aer Lingus. There are up to three flights per week from Dublin Airport’s Terminal 2. Pre-clear U.S. immigration before boarding your flight - that means you can grab your bags and go when you land in Miami! Everything in Miami oozes glamour, elegance and a cosmopolitan attitude. Beaming Miami is nestled on the Atlantic coast of Florida's most southern tip, rendering it sunny and pleasantly warm all year round. To call this city international is an understatement of criminal proportions. It is a North American core with a twist of the Caribbean, a healthy dose of Latin America, a dash of Africa, a touch of Asia and a hint of Europe. All of these elements combined give Miami a vibrant, exhilarating cultural life. 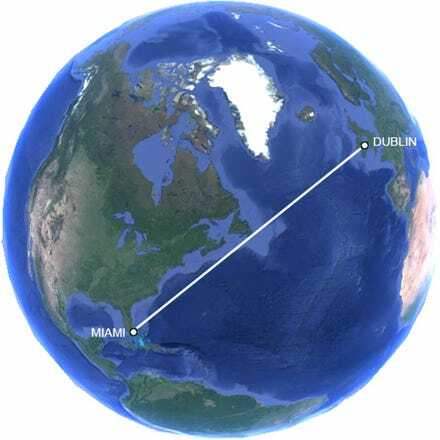 All Aer Lingus flights to Miami arrive at Miami International Airport (MCO), which is located approximately 9 miles northwest of Miami. Taxis are available just outside baggage claim, and there is also a 24-hour ‘Super Shuttle’ van service available outside the baggage claim. Bus services link the airport to all areas of Miami-Dade County. The ‘Tri-Rail’ train can be reached on the Airport Station just east of the airport. It is worth asking your hotel beforehand if they offer a shuttle service from and to the airport. An Info-Center can be found on level 2 in Concourse E, which also hosts a bank, post office, pharmacy, baggage storage, ATMs and several car rental companies. As in many cities across the United States, car is by far the main mode of transport. However, Miami still has a lot to offer in terms of public transport. The Metromover is an excellent way of moving around in downtown Miami – it is free and runs from 5am until midnight every day. Metrorail runs from the north to the south of Miami across downtown. The service runs every day from 5am until midnight. The Metrobus service covers all of the Greater Miami area. Several buses operate all week, 24 hours a day. Fares can be paid with small change either on board the bus or before entering the Metrorail. Otherwise, the EASY Card, loaded with money or for a period of time, that can be used on both services, can be bought in certain specified outlets across the city. The South Beach Local is the cheapest and most scenic way to travel along South Beach. The shuttle comes to numerous bus stops every 12-20 minutes. It operates Monday to Saturday from 7:40am-1:20am, and on Sundays from 10am-1pm.